Khatami said that he had been a victim of racism during the shoot in Taiwan. He denounced the film project as a political pawn in the re-election campaign of Taipei City's mayor. And he added that he was ashamed that he hadn't chosen to leave the project earlier. The omnibus consists of four short films directed by four teams of directors, pairing a local director with a foreign counterpart. 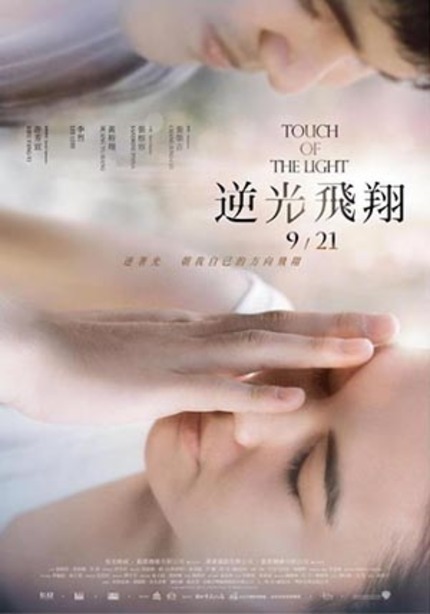 Khatami was partnered with Taiwan's CHANG Jung-chi, director of festival-favourite Touch of the Light, a celebrated drama about a blind pianist and a dance student. The Directors' Fortnight condemns the defamatory remarks made by a director on Thursday during the question-and-answer session at the screening of Taipei Factory. We want to reassure the Taipei Film Commission of our complete support for the project, for its direction and for its spirit. We unanimously regret this baseless accusation. The Taipei Film Commission today issued a statement on their website, only in Chinese, in which they described the director as "emotionally unstable," criticising his lack of trust in his team and need for word-for-word translation, noting that the other guest directors had a smooth experience shooting in Taipei. Sounds like a bit of a tempest in a teapot but everyone loves a good on stage shake-up at Cannes.